As the old saying goes, slow and steady wins the race. Organisation for Economic Co-operation and Development (OECD) predictions show year-over-year increases in world gross domestic product (GDP) of 3.7%, up slightly (0.1%) from last year. The outlook for the G20 overall is in the same territory, while China and India will continue to power on at rates of 6.6% and 7.0%, respectively. In contrast, growth in the Euro area (Germany, France, and Italy) and the United Kingdom is expected to slow in the coming months to a projected 2.1% and 1.2%, respectively, while the United States, which has passed major tax reform, will chug along at a rate of 2.5%. In the Euro area, despite sluggish growth, the unemployment rate fell to 9.1% in July 2017, the lowest rate since 2009, according to an OECD interim economic outlook report issued in September 2017, “Short-term momentum: Will it be sustained?” The OECD attributes this lower rate to stronger consumption and investing in the region as well as healthy export growth. In Germany, growth in the first half of 2017 was stronger than anticipated, business confidence is strong, and investment in machinery and equipment has gathered pace. In the U.K., however, GDP growth is facing headwinds due to uncertainty over the outcome of Brexit negotiations, which I’ll talk more about later on. In the U.S., growth in 2018 is expected to be supported by more robust consumer spending and business investment, followed by stronger pay and lower wage inflation, meaning Americans’ dollars will go further. Yet when it comes to the impact of fiscal easing and regulatory reform on the U.S. economy, it’s anybody’s guess—although, domestically, businesses are reportedly very optimistic. Canada was the winner of the growth race among members of the G7 in 2017, leading with a 3.2% year-over-year increase in real GDP fueled by strong consumer demand (housing, most notably) and a robust auto sector. But the hoopla may be short-lived: Canada’s growth prospects are expected to moderate in 2018, keeping pace with the U.S., its major trading partner to the south. That’s the big-picture story for 2018. 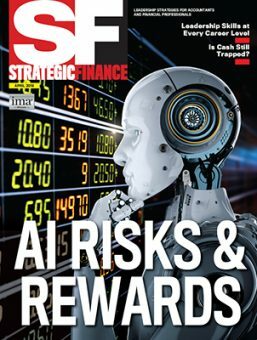 But against this backdrop lies a complex subtext resulting in a broad range of strategy scenarios for senior finance executives and a variety of important issues that will be keeping them up at night. Nevertheless, what the main concerns are for the coming year depends on which person you ask. 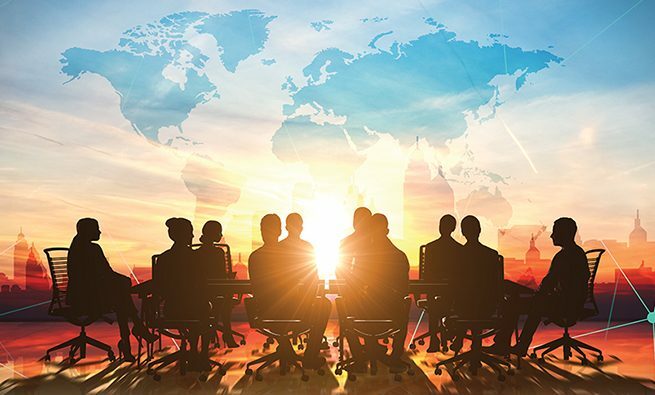 Results show that, on the whole, accountants around the world were regaining confidence in the global economy although they weren’t bullish yet. As expected, confidence was relatively high in South Asia, Africa, and Asia Pacific, but the picture was dramatically different in the U.K. Brexit, of course, is running in the background, causing insecurity on many fronts. According to 49% of the ACCA/IMA respondents, the biggest concern for U.K. finance executives is rising costs. The pound’s falling value, which has resulted in increased import prices, is the culprit. Finance executives also believe that the risks created by Brexit far exceed the opportunities as per the third-quarter 2017 survey. Companies reliant on European Union (EU) workers, such as food manufacturers, hotels, and restaurants, are expected to be hit the hardest should post-Brexit immigration restrictions come into force. 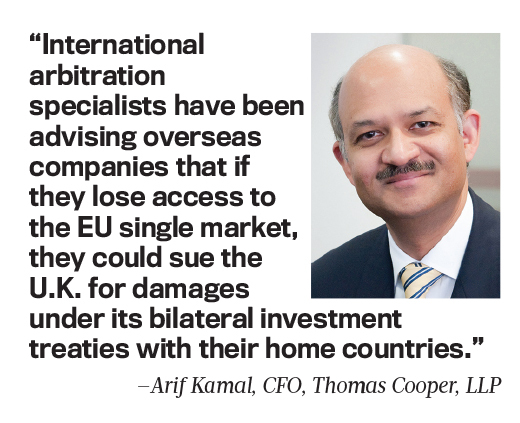 In addition, with respect to new initiatives, Brexit has put the brakes on new ventures for many companies that operate in the U.K., both domestic and foreign alike, says Arif Kamal, CFO of Thomas Cooper, LLP, an international law firm specializing in trade and finance law. It has effectively “created uncertainty around borrowing requirements and is stopping people from having long-term views on capital investment strategies,” he says. Other issues related to Brexit will force CFOs to review a wide range of management strategies going forward. For example, supply chains will have to be reconsidered to identify potential impacts of tariffs and additional customs requirements; third-party contracts may have to be renegotiated; potential tax impacts need to be assessed; and information technology (IT) infrastructures must be reviewed in the event of potential changes to data protection laws. Brexit might even affect where companies choose to locate their offices and production facilities going forward. TAX REFORM IN THE U.S.
Across the pond, confidence in the U.S. rebounded to its highest level since the beginning of 2017, largely attributed to the passing of President Trump’s tax reform package, which saw corporate tax rates fall to 21%. As Nordlof explains, the main issue around implementing the new tax agenda is the planning horizon. 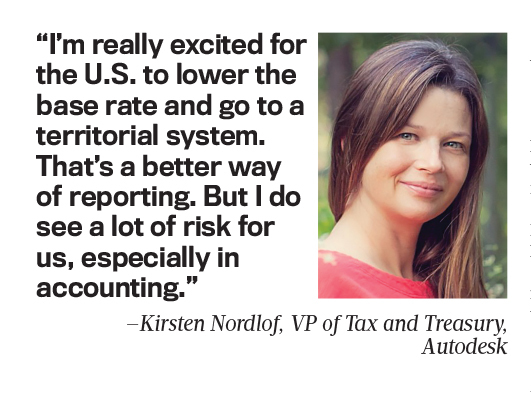 “There’s a lot of nuance work in the tax accounting world,” she notes, “and my biggest concern is making sure that our income tax accounting processes are up to date and that we get the impacts of tax reform into our tax external SEC [Securities & Exchange Commission] reporting in a timely manner.” In Nordlof’s view, the first step to understanding the impacts of tax reform is to build a road map. 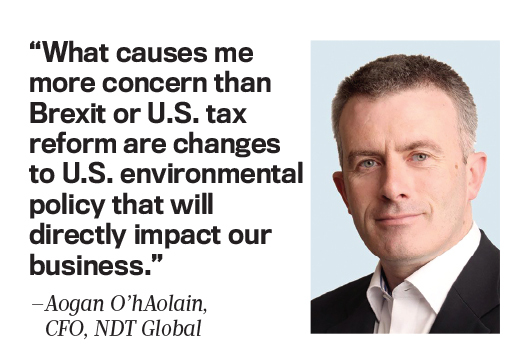 Other aspects of the tax bill directed at multinational companies relate to base erosion and profit shifting (BEPS) through intercompany payments and tax inversions. The OECD reports that BEPS results in annual losses of anywhere from 4% to 10% of global corporate income tax (CIT) revenues—roughly US$100 billion to $240 billion annually. Most of this “missing” profit has been shown to wind up in just a few jurisdictions with near-zero effective tax rates—most notably the Netherlands, Ireland, Bermuda, Luxembourg, Singapore, and Switzerland—and, as the Paradise Papers reveal, the practice of “treaty shopping” has led many companies to incorporate in Mauritius. 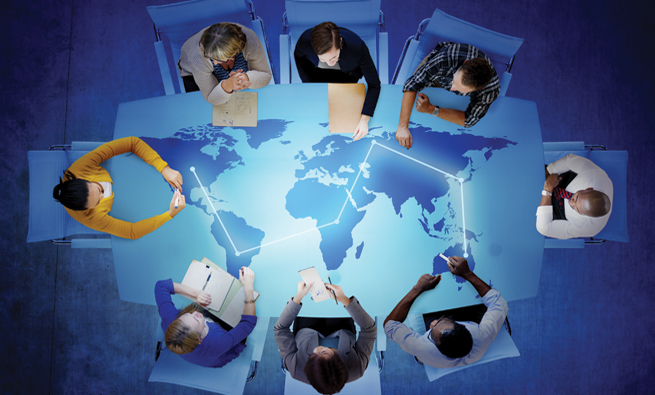 In the U.S., country-by-country reporting will commence for tax years beginning on or after January 1, 2017, with filing to be completed with the IRS sometime in 2018. Furthermore, on June 7, 2017, roughly 70 countries launched a new international tax convention to prevent treaty shopping, which has allowed companies and private individuals to exploit tax haven options. 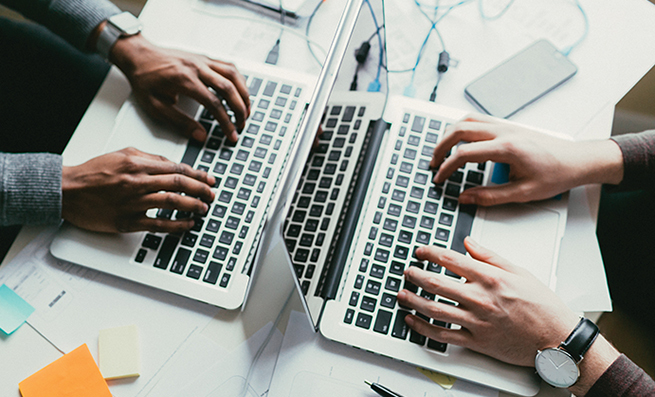 Managing tax complexity over the coming months will be the main concern for some CFOs. For others, it will be managing under uncertainty. For instance, companies such as privately held ESCO Group, operating in the agricultural heartland of the U.S. Midwest, are worried about the fate of NAFTA (North American Free Trade Agreement). 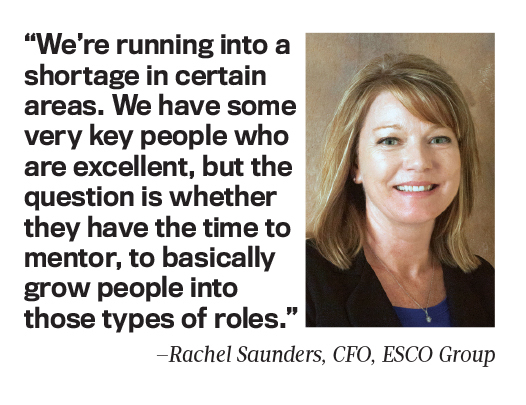 As ESCO CFO Rachel Saunders explains, her company relies on the U.S. agricultural sector for most of its business, which involves the provision of plant automation systems and electrical construction services. “Our growth has been solid over the past number of years, as most of our clients are building new plants or building control systems for their lines,” she says. NAFTA offered some shielding on pricing between the U.S., Canada, and Mexico, she explains, so if NAFTA goes away, that’s going to upset the agricultural areas. “If the larger corporations can’t get the pricing they’ve been used to in North America, they’re likely to spend a lot less on capital expenditures, which is our biggest concern,” Saunders adds. 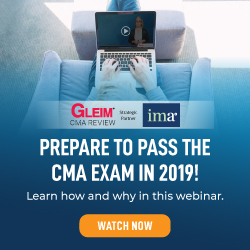 In 2018, several other issues will impact all U.S. companies, namely the availability of enough talent to meet their growth potential, emerging and growing security risks, and advances in technology that can dramatically change financial management for years to come. All these threats are likely to keep CFOs tossing and turning in 2018. 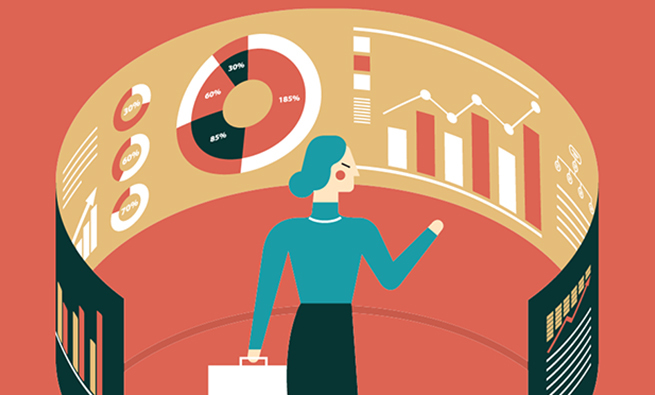 New challenges around compliance, process, and data requirements will demand that many CFOs overhaul their tax functions while evaluating the role of Big Data and artificial intelligence in tax planning. 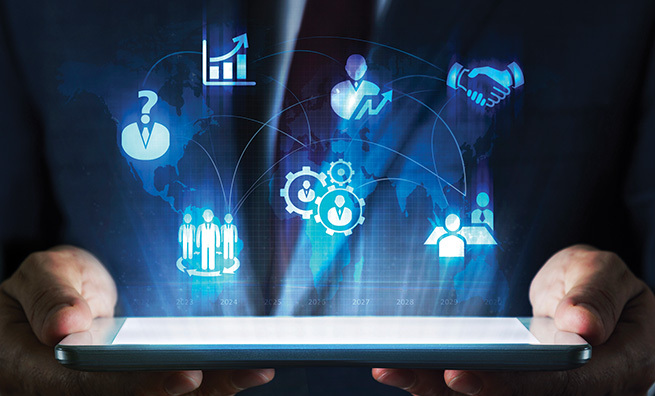 System improvements will need to be made to ensure a seamless flow of information between business units, functions, and managers, while CFOs will be looking to best practices in automation and internal controls that will help reduce tax risk in 2018 and beyond.